While on one of my usual rants about how I think pitchers who intentionally throw at batters are criminal, I found the following decision, Avila v. Citrus Community College Dist. (2006) 38 C4th 148, from the Supreme Court of California in 2006, with the opinion delivered by Justice Werdegar and the dissent delivered by Justice Kennard. It turns out that my rants been wrong all these years. By a 6-1 decision, the court ruled that a pitcher intentionally hitting a batter is an accepted part of the game of baseball. I think it's worth looking into this precedent-setting decision though as it makes a number of dubious claims which I take issue with. I should note right away that I'm not a lawyer, and I've never even played one on TV. Any interpretation I make in the reading of this decision should be made under that context, but I'll do my best to highlight what I deem are the important and relevant parts. Jose Luis Avila, a Rio Hondo Community College (Rio Hondo) student, played baseball for the Rio Hondo Roadrunners. On January 5, 2001, Rio Hondo was playing a preseason road game against the Citrus Community College Owls (Citrus College). During the game, a Roadrunners pitcher hit a Citrus College batter with a pitch; when Avila came to bat in the top of the next inning, the Citrus College pitcher hit him in the head with a pitch, cracking his batting helmet. Avila alleges the pitch was an intentional "beanball" thrown in retaliation for the previous hit batter or, at a minimum, was thrown negligently. Avila staggered, felt dizzy, and was in pain. The Rio Hondo manager told him to go to first base. Avila did so, and when he complained to the Rio Hondo first base coach, he was told to stay in the game. At second base, he still felt pain, numbness, and dizziness. A Citrus College player yelled to the Rio Hondo dugout that the Roadrunners needed a pinch runner. Avila walked off the field and went to the Rio Hondo bench. No one tended to his injuries. As a result, Avila suffered unspecified serious personal injuries. Avila sued both schools, his manager, the helmet manufacturer, and various other entities and organizations. Only the claims against the Citrus Community College District (the District) are before [the court]. The District was negligent in failing to summon or provide medical care for him when he was obviously in need of it. The District failed to supervise and control the Citrus College pitcher. The District acted negligently by failing to take reasonable steps to train and supervise its managers, trainers, employees, and agents in providing medical care to injured players and by conducting an illegal preseason game in violation of community college baseball rules designed to protect participants. There is significant discussion in the decision as to whether or not a college exhibition game is considered a "recreational activity" and if therefore the District is immune under a specified government code. I'm going to skip over all that as well as any above listed element that does not relate directly to the alleged intentional hit-by-pitch. Whether or not the exhibition game should have been allowed to be played may be important for determining if the District was negligent, but I want to focus on whether or not intentionally hitting a batter is considered part of the normal play of baseball. [T]here are in fact two species of assumption of risk: primary and secondary. Primary assumption of the risk arises when, as a matter of law and policy, a defendant owes no duty to protect a plaintiff from particular harms. [...] Applied in the sporting context, it precludes liability for injuries arising from those risks deemed inherent in a sport; as a matter of law, others have no legal duty to eliminate those risks or otherwise protect a sports participant from them. [...] Under this duty approach, a court need not ask what risks a particular plaintiff subjectively knew of and chose to encounter, but instead must evaluate the fundamental nature of the sport and the defendant's role in or relationship to that sport in order to determine whether the defendant owes a duty to protect a plaintiff from the particular risk of harm. [C]oparticipants have a duty not to act recklessly, outside the bounds of the sport [...], and coaches and instructors have a duty not to increase the risks inherent in sports participation. 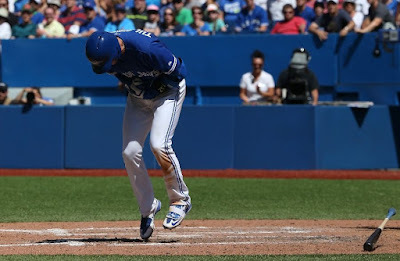 Being intentionally hit is likewise an inherent risk of the sport, so accepted by custom that a pitch intentionally thrown at a batter has its own terminology: "brushback," "beanball," "chin music." In turn, those pitchers notorious for throwing at hitters are "headhunters." Pitchers intentionally throw at batters to disrupt a batter's timing or back him away from home plate, to retaliate after a teammate has been hit, or to punish a batter for having hit a home run. [...] Some of the most respected baseball managers and pitchers have openly discussed the fundamental place throwing at batters has in their sport. In George Will's study of the game, Men at Work, one-time Oakland Athletics and current St. Louis Cardinals manager Tony La Russa details the strategic importance of ordering selective intentional throwing at opposing batters, principally to retaliate for one's own players being hit. As Los Angeles Dodgers Hall of Fame pitcher Don Drysdale and New York Giants All Star pitcher Sal "The Barber" Maglie have explained, intentionally throwing at batters can also be an integral part of pitching tactics, a tool to help get batters out by upsetting their frame of mind. Somehow that doesn't end the conversation though. But "even when a participant's conduct violates a rule of the game and may subject the violator to internal sanctions prescribed by the sport itself, imposition of legal liability for such conduct might well alter fundamentally the nature of the sport by deterring participants from vigorously engaging in activity that falls close to, but on the permissible side of, a prescribed rule." Now I'll agree with part of that. Baseball rules state that the players may not bat out of turn. I don't think breaking that rule should result in tort or criminal proceedings. The entity of Major League Baseball is well setup to handle such violations. However beanballs are a different matter. They are an activity which falls outside the nature of baseball. It's a premeditated attempt to injure another human being. That is a matter for the courts to decide, not just MLB. Again though, the decision disagrees with me. It is one thing for an umpire to punish a pitcher who hits a batter by ejecting him from the game, or for a league to suspend the pitcher; it is quite another for tort law to chill any pitcher from throwing inside, i.e., close to the batter's body--a permissible and essential part of the sport--for fear of a suit over an errant pitch. For better or worse, being intentionally thrown at is a fundamental part and inherent risk of the sport of baseball. It is not the function of tort law to police such conduct. [W]e acknowledged that an athlete does not assume the risk of a coparticipant's intentional or reckless conduct "totally outside the range of the ordinary activity involved in the sport." Here, even if the Citrus College pitcher intentionally threw at Avila, his conduct did not fall outside the range of ordinary activity involved in the sport. The District owed no duty to Avila to prevent the Citrus College pitcher from hitting batters, even intentionally. Consequently, the doctrine of primary assumption of the risk bars any claim predicated on the allegation that the Citrus College pitcher negligently or intentionally threw at Avila. The dissent states that the suit should have been allowed to be amended to add a proper battery claim. However the decision states that would not be applicable. Absence of consent is an element of battery. [...] "One who enters into a sport, game or contest may be taken to consent to physical contacts consistent with the understood rules of the game." [...] the baseball player who steps to the plate consents to the possibility the opposing pitcher may throw near or at him. The complaint establishes Avila voluntarily participated in the baseball game; as such, his consent would bar any battery claim as a matter of law. [T]he majority holds that a baseball pitcher owes no duty to refrain from intentionally throwing a baseball at an opposing player's head. This is a startling conclusion. It is contrary to the official view in the sport that such conduct "should be -- and is -- condemned by everybody." (Off. Rules of Major League Baseball, rule 8.02(d), off. coms.). The dissent further states that it holds many of the "facts" stated in the decision to be "universally known" and is upset over the fact that expert witnesses could not be called to attest as to whether intentionally hitting a batter is an inherent risk. Those experts could attest that beanballs are often not tolerated and there are particularly harsher penalties at the collegiate level. [T]he majority's application of the no-duty-for-sports rule to include pitches intentionally thrown at a batter's head is an ill-conceived expansion of that rule into intentional torts. In Knight, the plaintiff alleged only that the defendant acted negligently [...], and the plurality there justified the no-duty-for-sports rule with the comment that a baseball player should not be held liable "for an injury resulting from a carelessly thrown ball or bat during a baseball game". Here, however, the majority applies that rule to hold that the trial court properly sustained the District's demurrer to Avila's cause of action alleging an intentional tort, in which he alleged that the pitch that hit him "was thrown in a deliberate retaliatory fashion, with reckless disregard for the safety of plaintiff." Even if I were to accept the majority's misguided no-duty-for-sports rule, I would apply it only to causes of action for negligence, not for intentional torts. Under traditional assumption-of-risk analysis, "sports participants owe each other a duty to refrain from unreasonably risky conduct that may cause harm." [...] Intentionally hitting another person in the head with a hard object thrown at a high speed is highly dangerous and is potentially tortious, no matter whether the object is a ball thrown on a baseball field or is a rock thrown on a city street.